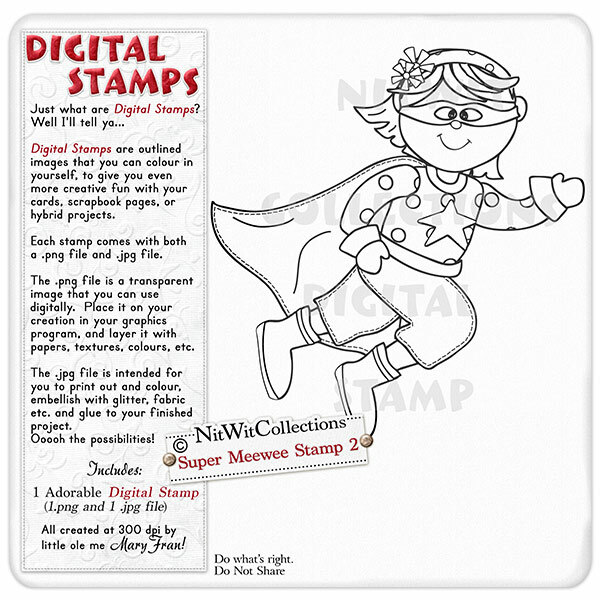 Super Meewee Stamp 2 is our Super Girl in action. Is she jumping a building? Is she in motion after the bad guys? The choice is yours with this digital stamp. A great creative addition for your card making, scrapbooking, and hybrid scrapbooking projects..